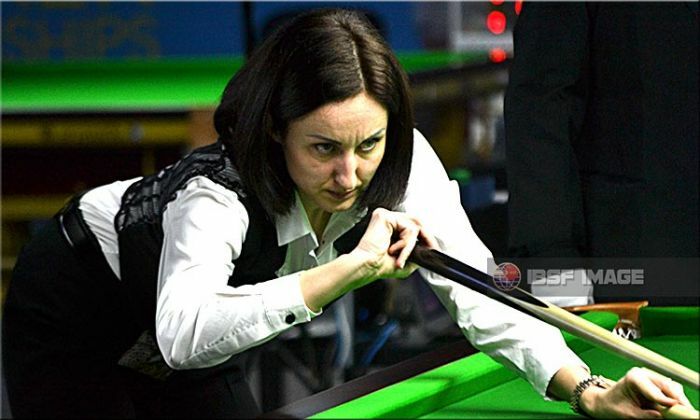 Former European champion, Tatjana Vasiljeva from Latvia hit back a worthy 30 points break in deciding frame to complete a victory over Kathy Howden of Australia on second day of round-robin play. Entire match swung like a pendulum with alternate frame win to both till they entered the deciding frame. In decider, Kathy kept a control in the start but later Tatjana proved her supremacy with the quality break to close the match 3-2. In Men group, Brazilian player Igor Figueiredo set a new highest break of the competition, by crafting 136 against Muhammad Faaris Kahn of South Africa. In third session of the day, Igor entirely outclassed Faaris by producing breaks in first three frames. He made 62, 63 and 136 and taken 3 frames lead. Though Faaris scored 31 points in fourth frame, but Igor maintained his rhythm better and scored 64 points in total to wrap up the match 4-0. He surpassed previous best 126 set by Ail Alijalil or Iraq yesterday.